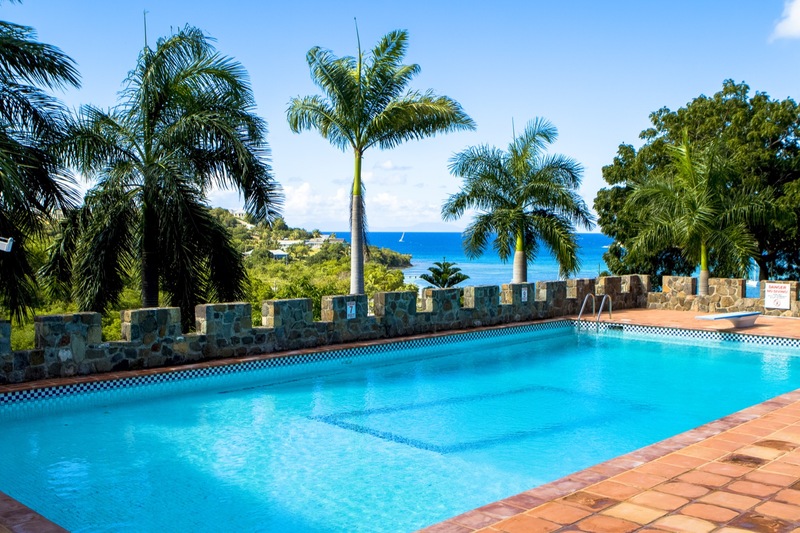 Incredible views from the 120 foot gallery and the sunrise or sunset balconies of the Master Bedroom are just one of the features of this stunning villa. 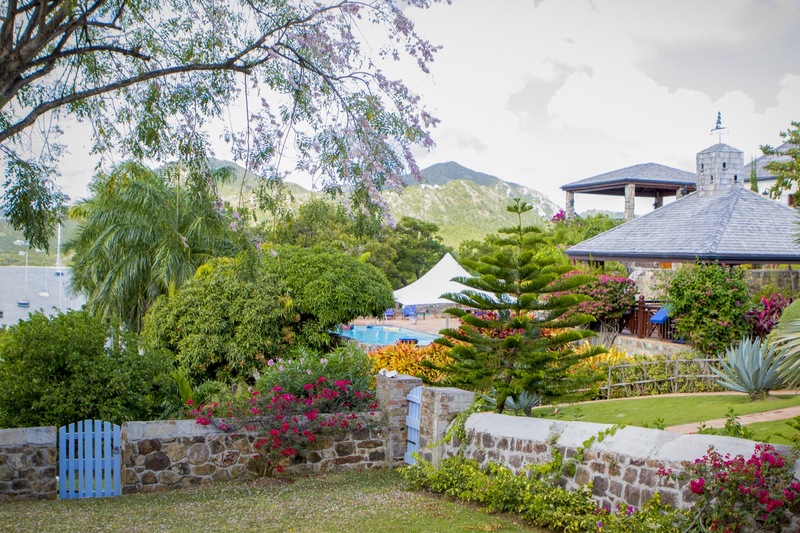 Enjoy the privacy of this unique and historic holiday home whilst still being close to the events and activities in the English Harbour Marina area. The original stone base forms the ground floor of The Great House which has been re-built in the style of a 200 year old Georgian maritime residence with wooden shingle roof set with dormer windows and balconies. Wooden louvred windows and doors create a cool, breezy interior and open out onto the 120 foot gallery which is situated at Mega Yacht mast height overlooking the entrance channels to Falmouth Harbour’s three marinas. 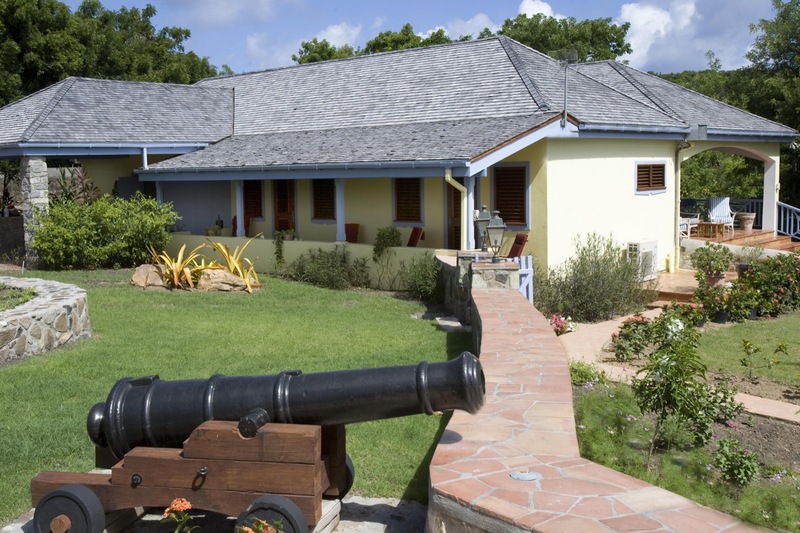 The two bedroomed, spacious Guest Cottage is built on the site of the original stables and features it’s own stone walled garden, whilst still taking in amazing views – right out to the neighbouring island of Montserrat. The sheer size of the 1500 square foot of living and entertaining space impresses all who cross the threshold of The Great House. With its 25 foot high vaulted ceilings, open plan kitchen and direct access to the outdoor BBQ and dining areas, you can find your own quiet area to read or doze, or enjoy the company of your family and friends as you benefit from the shaded, north facing gallery, cooled by the prevailing north easterly trade winds. 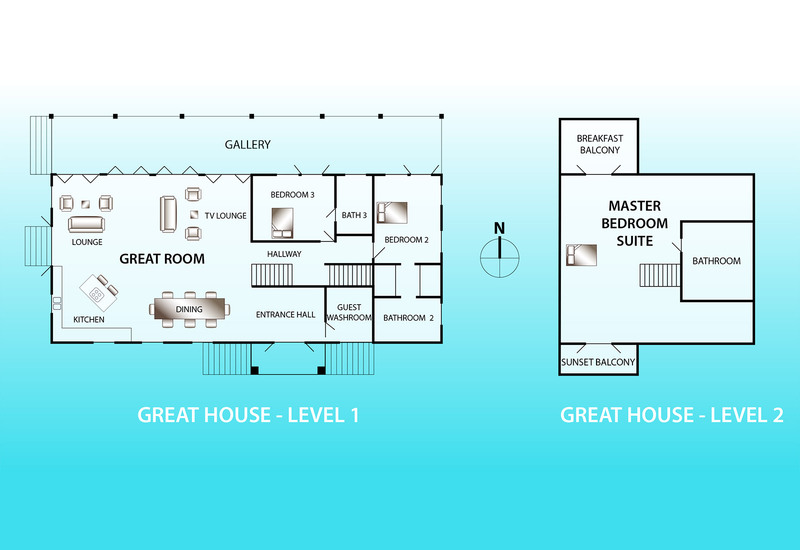 The Great House has 3 bedrooms – the Master Bedroom is upstairs in it’s own space with a King Size 4 poster bed, air conditioning, ensuite bathroom and the two balconies. 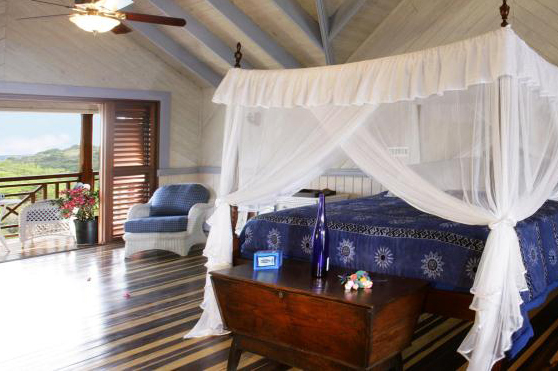 Bedrooms 2 and 3, air-conditioned, each has a King Size or two single beds and air conditioned bathrooms. We also have a baby cot, a baby travel cot and a toddler bed. 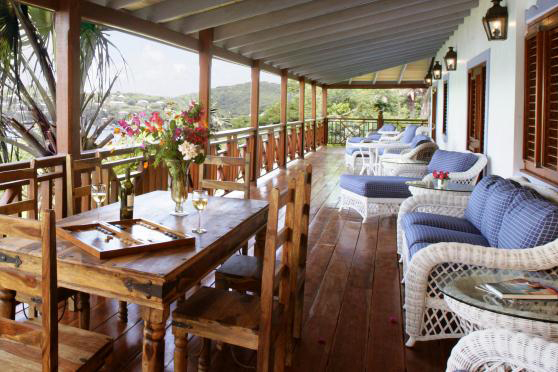 Sitting on the patio of this fully self contained Guest Cottage offers a wonderful view of the colourful gardens, the entrance to Falmouth Habour and across the ocean to the volcanic Island of Montserrat. 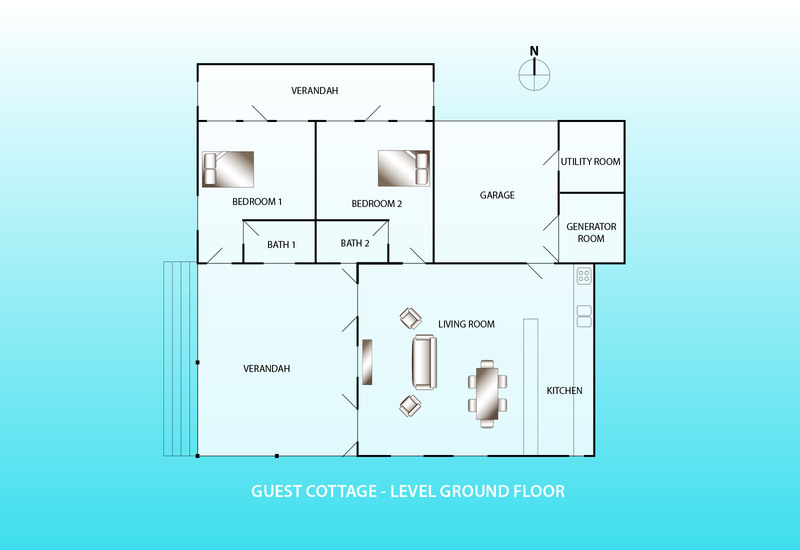 Two bedrooms have air-conditioning and ensuite bathrooms. Bedroom one offers a King size bed or twin singles and Bedroom two a Queen size bed or twin singles. 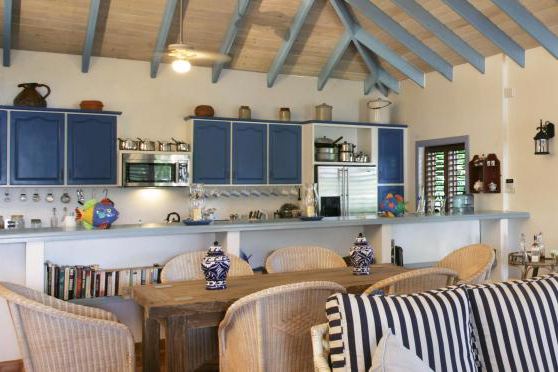 There is a fully equipped kitchen and a spacious living and dining area. The unique feature of an original stone wall, sloping up through the living room adds real character to this charming cottage. A large outdoor dining pavilion, overlooks the pool deck and Pigeon Beach. 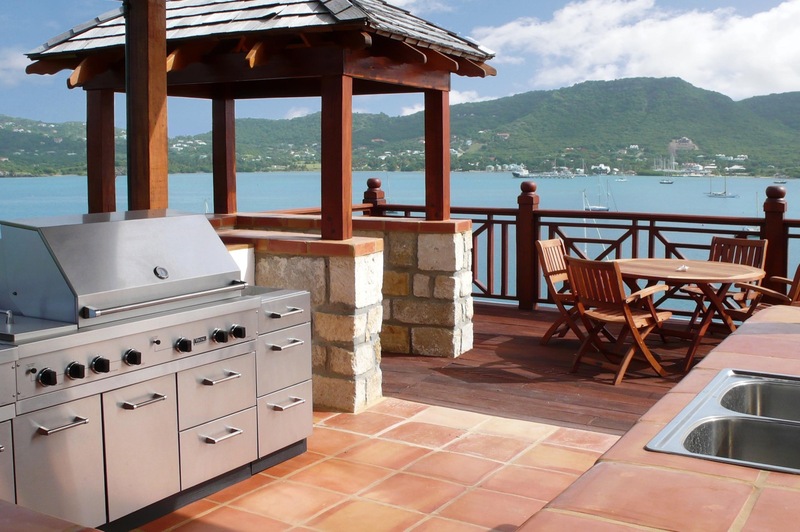 A professional size BBQ complete with rotisserie and large gas burners for wok cooking or the large lobster pot, is set up and ready for your use in the outdoor kitchen area. Next to this is the old signal tower that has been rebuilt as an observation post and houses a ship’s bell. 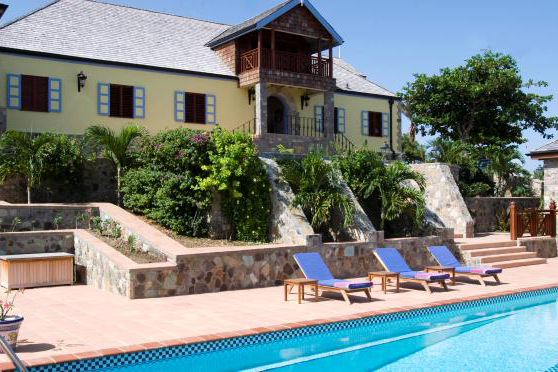 By the pool deck the old powder magazine now houses sun loungers and a hammock. This is also an excellent spot for outdoor yoga and massages. The 50 foot pool is perfect for swimming those laps or simply enjoying with your drink in your hand. 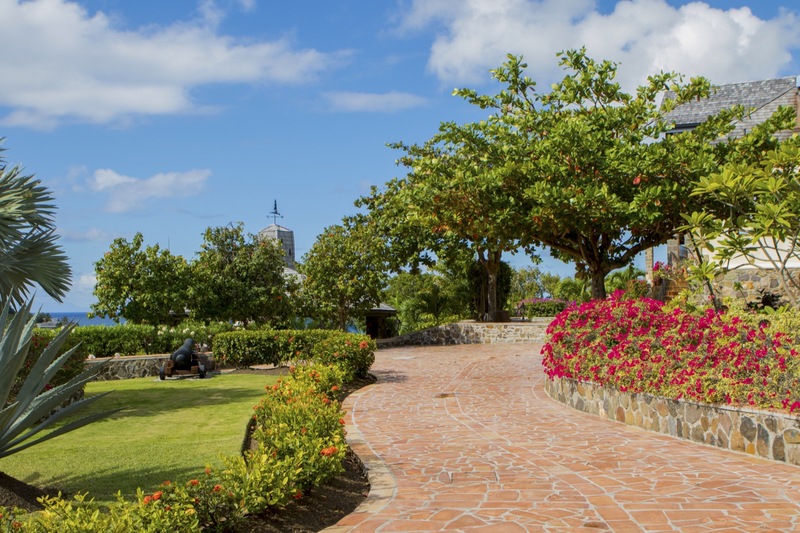 A full time gardener ensures the spectacular gardens are kept in pristine condition. We have our own bee hives that produces delicious honey and some fruit trees that offer various seasonal fruits. We are particularly famous for the mouth watering mangoes from our mango trees (July is the month for Mangos). Our ornamental lily pond, features bright yellow and purple lilies. On the north side of the property the land slopes steeply down to the water’s edge, via a rough track. 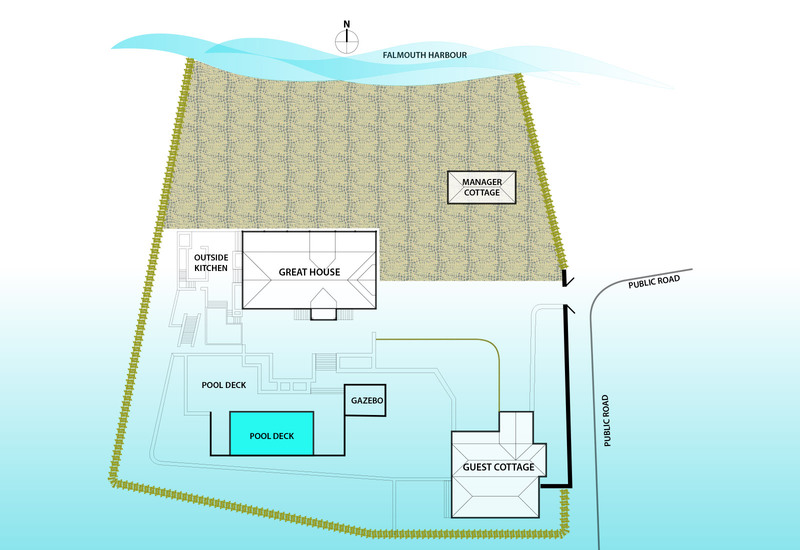 You can access the water directly from the property for some snorkeling or an ocean dip. © Copyright 2017, St. Annes Point. All Rights Reserved.